Can this hitman story hit a bullseye or will it shoot itself into oblivion like so many failed comedies? When a well-respected hitman, Victor Maynard, decides to save an attractive and liberal thief, Rose, more hitmen are sent after them. 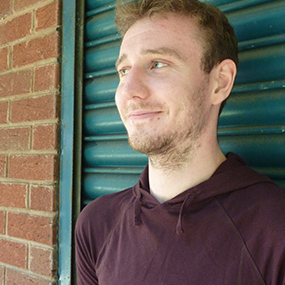 What Victor doesn’t realise is that his organised life will change against his will due to this new encounter while they fend for their lives. Wild Target’s true strength is Bill Nighy as hitman Victor. In the opening scenes he’s displayed brilliantly practicing his basic French during assassinations, taking a parrot that is a murder witness down the high street while it squarks, ‘I love you Victor Maynard’ and being given newspaper cuttings of his life’s hitman work in a scrapbook by his mother. It’s a delight to see Nighy get this much screen time and its hard to imagine any other actor turning these tongue in cheek moments into something so enjoyable to watch, It also manages to heighten the ridiculous nature of the extremely dark subject matter, that is murder, and cleverly allows his serious and dangerous character to integrate into what turns out to be a light hearted comedy. The film also excels at presenting rather simple but effective caricatures of villains: Martin Freeman’s white teethed, smartly dressed hitman is excellent in a small role and Rupert Everrit’s mega rich and highly tanned estate agent villain is entertaining again as a small character with a handful of regular stupid henchman to boot. Although unfortunately Rose, played by Emily Blunt, fails to become more than one of these simple caricatures, and as a main character this let’s the film down greatly. She plays an impulsive thief who steals items freely as she walks around London markets; that’s potentially interesting but she flicks between promiscuous lover, huge risk taker, dependant love interest and defenceless damsel so often that she becomes completely unbelievable and rather frustrating to watch even in a light hearted comedy such as this. For a crime-caper/comedy Wild Target fails largely to balance the darker side of an assassin’s profession with the light hearted moments. Instead it dilutes not only the murders, but the emotional impact the film could have mustered between both characters and their connectivity with the audience. The only intriguing character relationship is Victor’s potential attraction to Tony, played by Rupert Grint with a funny but all too short bath scene. But that storyline is quickly distinguished for a budding romance between Victor and Rose that seems entirely forced, random and totally unsuitable. 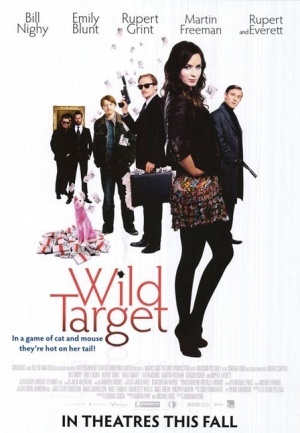 Wild Target shows Nighy once again excel in a new character choice, but the film sets a constant tone of upbeat comedy that lacks any real substance between characters and comes across as rather hollow.